Established in 2011 by Mark Turner, Wildlife Pro began simply as an animal trapping and wildlife removal company. Even in this beginning stage, we led the way in applying effective, humane wildlife control trapping techniques. In 2012, Wildlife Pro launched a second aspect of animal control: performing complete repair work related to wildlife damage. This has provided home and business owners alike with a permanent solution to wildlife problems. Examples of our work include installing stainless steel chimney caps, installing guards on various vents and closing off entry holes. This running start encouraged the Wildlife Pro team to go even further. In 2013, we began to provide services related to bee control, animal droppings clean-up, ectoparasite treatments (for fleas, ticks, bat bugs and bird mites) and insulation restoration products. Today, Wildlife Pro is a full-service animal control company. From start to finish, Wildlife Pro can help take care of all nuisance animal control needs. 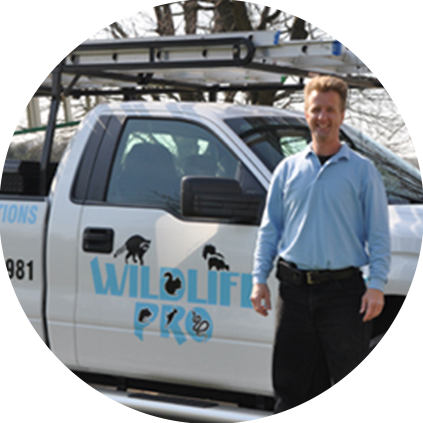 Wildlife Pro brings over 25 years of professional experience in the field of animal control and removal. Wildlife Pro is locally owned and operated. We gladly serve the greater Toledo Ohio area. 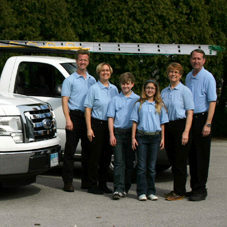 In Northwest Ohio we service cities including Sylvania, Perrysburg, Rossford, Oregon and Bowling Green. We also offer animal control services in Southeast Michigan serving Lambertville, Temperance, Erie and Monroe. Got a Raccoon, Squirrel, or Bat Problem? Wildlife Pro Website 2019 - Developed By Todd Productions Inc.